Hello, my name is Robert Giordano and I am a graphic artist, writer, and photographer. I have always admired Poe. I remember reading The Raven when I was about 12 and The Fall of the House of Usher when I was a high school freshman. In college I read the complete volume of Poe's works and realized what a truly amazing author he was. During the summer of 2005, I decided to create a Poe web site that was informative, easy to navigate, and stylish. I wanted to make Poestories.com friendly for students as well as adults so I built a wordlist tool that automatically links vocabulary words and phrases to their definitions wherever they appear in any story or poem. You can print any story or poem and the list of vocabulary words will be included at the end. 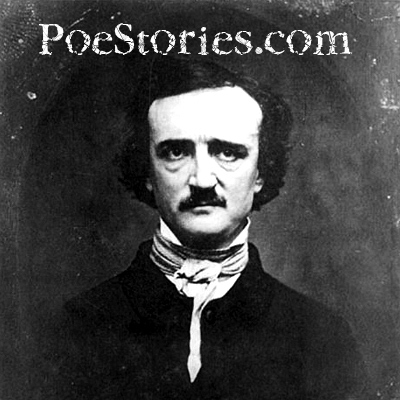 Poe wrote a great deal more than horror stories and I hope this site will introduce more people to his works. Author's name (last name first). Document title. Giordano, Robert. "A short biography of Edgar Allan Poe (1809-1849)." For lending me her beautiful book of Poe's poetry from 1882. I used it for the image of the book on the welcome page. I wanted something different from the stock photo of Poe's head that everyone likes to use, and the book was perfect. Okay this is where I plug my own product. The Design215 Site Manager lets me add content to the site. I can update the news, add quotes, write summaries or articles. I can upload and edit all of the stories and poems, and I can upload images and arrange them into categories for the gallery. Everything is stored in a database except the stories and poems which are saved as actual text files in a folder on the server. This is still my favorite site for tutorials on how to create interface elements for web sites. This site should inspire everyone to stop creating web sites the old fashioned way (circa 1998) and begin using 100% CSS for layout and design. With CSS, you can change the entire look of a web site with a single stylesheet, your site can be displayed on devices other than computer monitors, and you can meet government standards for making your site accessible to those with disabilities. No CSS "hacks" were used for this site! "Say NO to CSS hacks!" This is another resource I used for the text of the stories. An ecclectic collection of all things Poe. I found some great links to Poe material in the "Virtual Library" section.